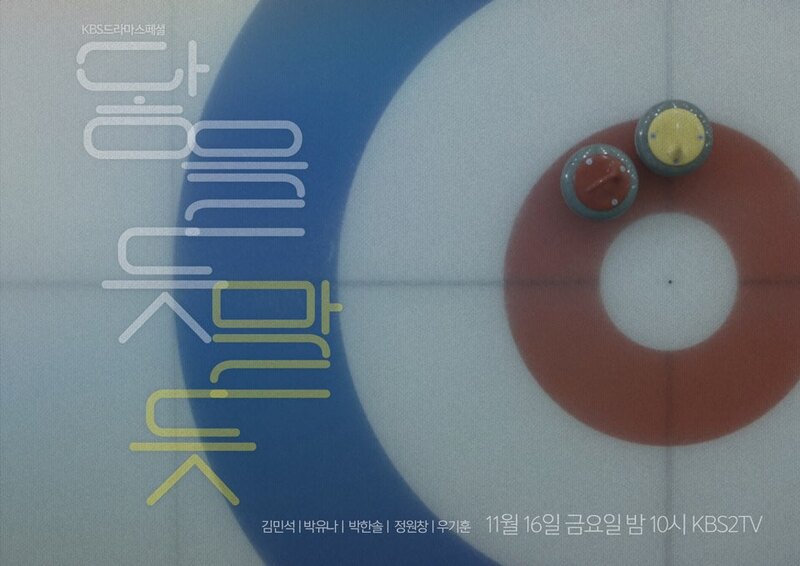 Young-Joo (Park Yoo-Na) is a member of the national female curling team. She begins to experience ringing in her ears and this causes her to become a substitute player. Young-Joo travels back to her hometown. There, she meets Sung-Chan (Kim Min-Suk). Young-Joo had a crush on him in the past. Sung-Chan is a former member of the national male curling team. They become partners in mixed doubles curling. B Jan 01 2019 11:36 am Does anyone know the name of the song that plays at 47:55? TamTam Nov 14 2018 10:58 am woah a strong female lead , this is going to be good! !